Sabre Hospitality Solutions, a division of Sabre Holdings, included a Build-A-Bike® team-building event during their two-day conference in Dallas, Texas. 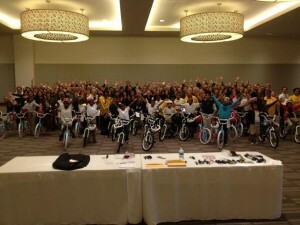 The workshop added energy and fun to the conference while giving back to local kids in need. Sabre Hospitality Solutions provides the most comprehensive set of hotel distribution and marketing services in the industry. They provide hoteliers with many tools for reaching more customers and increasing their effectiveness in the marketplace. It was a group of these hoteliers plus the Sabre Hospitality Solutions staff that came together for the large bicycle team event in Dallas. Build-A-Bike is a fast-paced, high-energy workshop that gives participants the opportunity to interact, compete and ultimately work together to solve a series of challenges. Due to our competitive human nature, there is typically some skepticism at the notion that the teams need to collaborate to solve the challenges more efficiently. While this group of people don’t necessarily work together in their day-to-day businesses, they did rise to the challenge and help each other, ultimately making everyone successful. By the end of the event, they had built 30 bikes! Local kids from the YMCA of greater Dallas came at the end of the event to receive the bikes. There was not a dry eye to be found! As businesses that mostly cater to travelers, this was a fantastic opportunity for everyone involved to extend a hand to the community around them. Everyone likes to give back to the community, especially to kids in need. 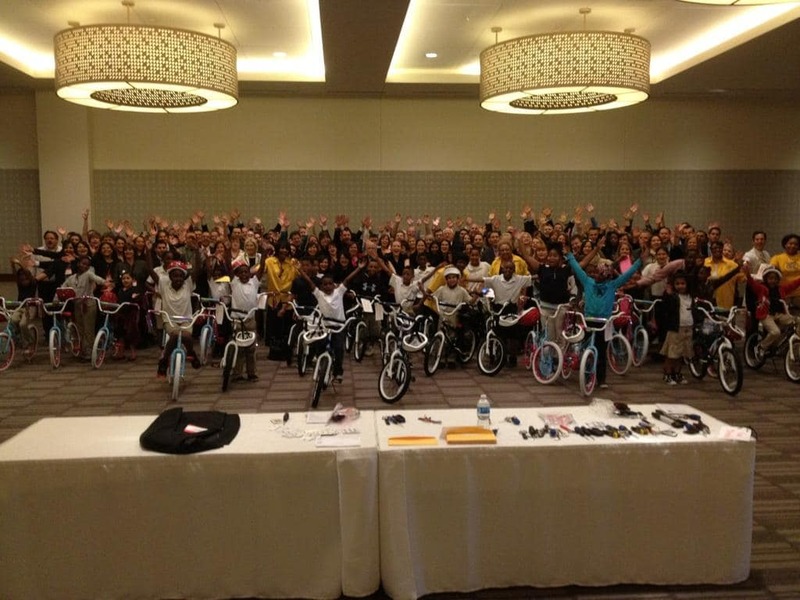 Include Build-A-Bike® in your next conference in Dallas or in any other city in Texas (or the US for that matter), and you will give those you’ve brought together the opportunity to do just that while adding energy, enthusiasm and fun!